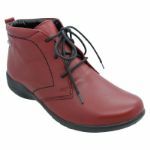 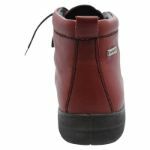 This little winner from Josef Seibel is crafted with an eye-catching red leather material that stands out from the ordinary. 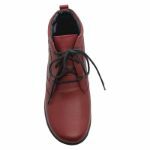 The Fabienne ankle boots are both pretty and practical, featuring a fine leather upper and quarter lining, along with a manmade sole. 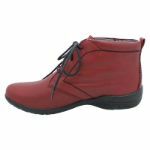 Appreciate the flattering shape and beautiful colour every time you wear these shoes and step out for the day! 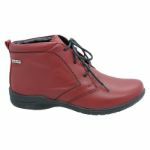 Stylish colour and very comfortable. My go to favourite love them.